Take a huge sigh of relief, because Bluebeam is not your typical software company. In short, Bluebeam Software makes smart, simple solutions for paperless workflows that leverage the PDF format. It all started way back in 1997, when we developed CAD to PDF creation technology for aerospace engineers. Now our award-winning PDF creation, markup and editing solutions are used by the world's top architecture, engineering and construction firms, as well as government agencies. We also have a strong following among tablet PC users, students and educators, accountants and even lawyers. When it comes to developing innovative products, our philosophy is quite simple. We don't just create "easy-to-use" software, we design ways that make our software feel like second-nature. So, we're relentlessly working to mimic the way you normally work with pen and paper. We also avoid complex jargon and "corporatey" policies like the plague. In fact, we're confident you'll find Bluebeam to be a breath of fresh air, and appreciate that our people do everything they can to lend you a helping hand. Speaking of Bluebeam employees, we're one big group of corporate misfits, and proud of it! We refuse to be confined by preconceived notions of what PDF software can and should do. We like to shake things up, tear 'em apart and make them our own. Or, completely ignore what others have done and make our own path. Our employees come from diverse technical and artistic backgrounds, and we've even been known to convert Bluebeam users into Bluebeam employees. If you like to work hard, make a real impact and have a good time in the process, there just might be a place for you on our team. Powerful PDF creation, markup, editing and collaboration for a paperless workflow. 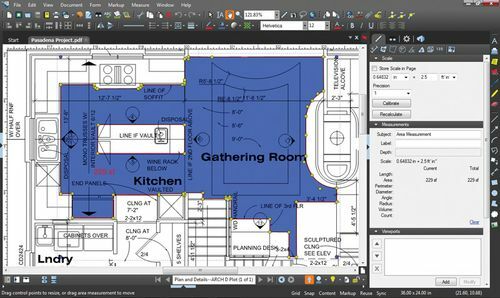 Bluebeam includes direct plug-ins for AutoCAD®, Revit®, Navisworks® Manage, Navisworks Simulate, SolidWorks®, and Microsoft® Office, for one button PDFs and batch creation. Studio allows you to create, share and collaborate in the cloud. Permanently delete or remove text and graphics from your PDF to safeguard confidential information. Create and distribute PDF forms with text fields, buttons, check and list boxes, digital signature fields and more. Use built-in script commands to automate your desktop process, or integrate your programming language of choice to perform advanced functions. Transform scanned PDFs into text searchable and selectable files with OCR technology. 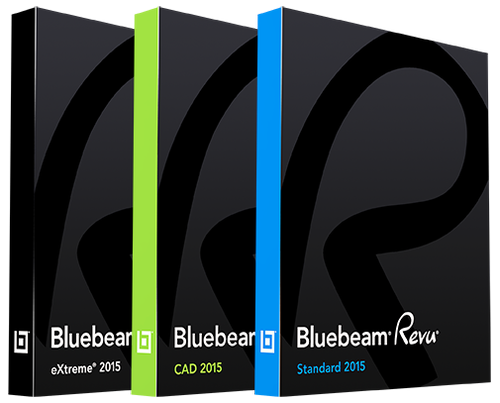 Bluebeam Revu Standard is an intuitive PDF solution, designed for users who want to improve the way they work. With best-in-class PDF creation, markup and editing technology, Revu Standard has all of the tools you need to make paperless workflow a reality. Use Bluebeam's plugin for MS Office to create high-quality PDFs from Word, Excel®, Outlook® and PowerPoint® with the click of a button, or create PDFs from other Windows® files using the Bluebeam PDF printer. Add customizable markups such as text, highlights, shapes, symbols and measurements to PDFs electronically, and save custom markups in the patented Tool Chest™ for easy reuse. Easily edit and assemble PDFs by adding, deleting, and combining PDF pages. Perform cost calculations, automatically compare drawings, track markups in a list, integrate with SharePoint® or ProjectWise®, go mobile on a tablet PC or iPad, and collaborate with project partners around the world in real time using Revu's cloud-based solution, Bluebeam Studio™. Bluebeam Revu CAD improves communication, productivity and collaboration on projects by enabling digital processes from end to end. 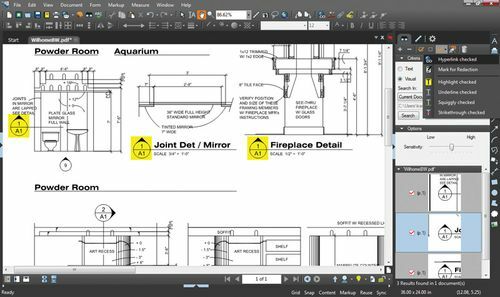 The professional PDF solution for CAD users, Revu CAD provides powerful PDF creation, markup and editing features for a paperless workflow. Use Bluebeam's plugins for AutoCAD®, Revit®, Navisworks® Manage, Navisworks Simulate, SolidWorks® and MS Office for one-button 2D and 3D PDF creation and batch options, or use the Bluebeam PDF printer to convert other CAD and Windows files to 10 different file formats. Bluebeam automatically reads your drawing's orientation, scale, line weights, merged lines, plot style table, and page size, so there is no need to adjust your settings. 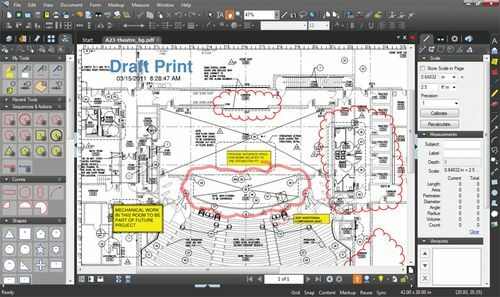 Create and view 3D PDFs and digitally redline PDF drawings with industry standard markups including text, clouds, highlights, CAD symbols, stamps, images and measurements. Save custom markups in the patented Tool Chest™ for easy reuse, and use Bluebeam's editing capabilities to assemble PDFs of RFIs, submittals, bid sets and more. Perform cost calculations, automatically compare drawings, track markups in a list, integrate with SharePoint® or ProjectWise®, go mobile on a tablet PC or iPad, and collaborate with project partners around the world in real time using Revu's cloud-based solution, Bluebeam Studio™. This ultimate version of Revu has all of the same best-in-class PDF creation, markup and editing technology found in Revu CAD, including Bluebeam Studio™ for real-time collaboration, as well as advanced features for taking paperless workflows further. Use OCR technology to transform scanned PDFs into text searchable files. Create PDF forms that include text fields, buttons and digital signature fields, or add advanced form fields that automatically calculate values and define actions. Permanently remove confidential information from PDFs with special redaction features. Or, use Scripting to automate simple desktop processes such as adding headers and footers, text stamps, cover sheets and security. Choose from a number of built-in script commands, or integrate your preferred programming language to perform advanced functions. The possibilities are endless. Which Revu 10 is right for you?